To say that the Regent’s Canal is one of the best-kept secrets in London is no exaggeration. I’ve been travelling to London since the 1990’s and yet this year is the first time that I’m visiting this Canal with nearly 200 years of history. The nine-mile Canal stretches from the River Thames at Limehouse to Paddington and is largely hidden behind buildings. Starting from Little Venice, the Canal wends its way through a rich collage of urban landscapes and at Regent’s Park, it passes the famous London Zoo. After the hustle and bustle of Camden Market and the quieter reaches through north-east London, the canal ends at Limehouse Basin, a well-heeled basin containing boats of all shapes and sizes. Along the way are several tunnels, city basins, and an astonishing variety of waterside architecture. The Canal opened in 1820 to link the Grand Junction Canal with London docks. John Nash, the master builder who designed Regent’s Park, wanted the waterway to run through Regent’s Park as it would be an added attraction for his new park. However, he was dissuaded by some who felt that the bargees’ rough language would offend the genteel residents of the area. As it turned out, they were right as the barges were hauled by steam tugs which were dirty and at times dangerous. In 1874 a barge loaded with gunpowder blew up near London Zoo causing loss of lives of the crew and damage to the bridge. After an initial period of prosperity, the Canal went into decline as a commercial waterway due to competition from the new railways. Today Regent’s Canal has been revived as a leisure amenity. The paved towpath is a pleasant walkway and many locals stroll, jog or cycle on it, although the Towpath’s Code of Conduct is very strict on the rights of pedestrians. New blocks of smart and expensive apartments have sprung up along the canal’s route, with more rapidly being built. If you enjoy walking holidays, there is a nice two-hour walk that you can do starting from Little Venice and ending at Camden Lock. There is a community of houseboats that moor at Regent’s Canal and boat owners take great pride in decorating their colourful boats with pot plants and other decorative objects. You can hire a canal barge and enjoy a relaxing barge holiday along the Canal, or do short canal cruises between Little Venice and Camden Lock. 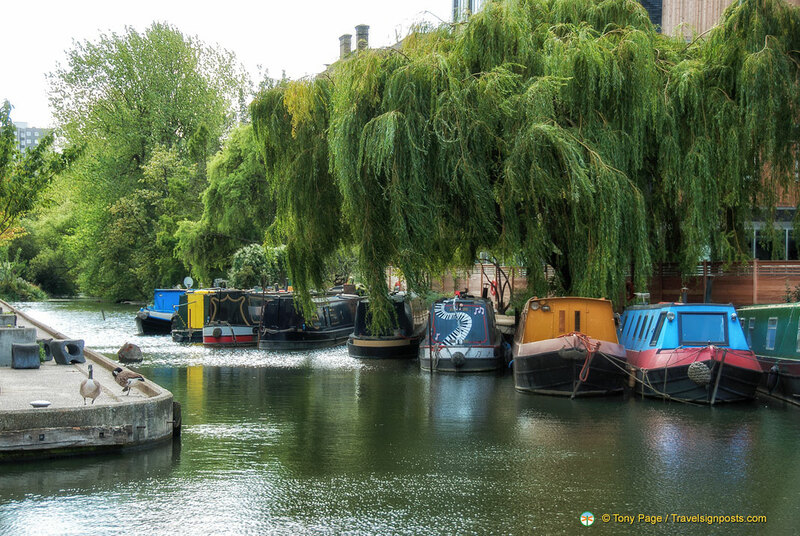 With its decorative canal boats, towpath and beautiful overhanging trees, Regent’s Canal is a stunning waterway destination and let’s hope that the beauty of the area is preserved as more people come to enjoy this hidden treasure. Don’t miss it!